dedicated with the Arms of Worshipful Thomas Drax of Sibsey esq. 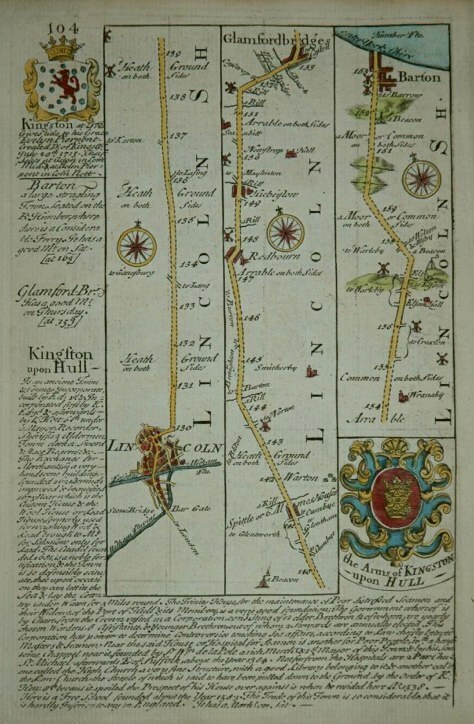 These original road maps are from Emanuel Bowen & John Owen's Britannia Depicta or Ogilby Improved, 1753. 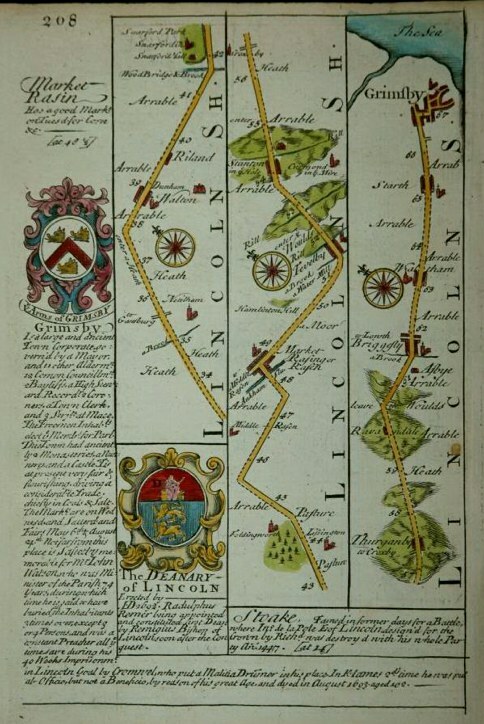 They show the main roads from Lincoln to Grimsby, and Lincoln to Barton on Humber. 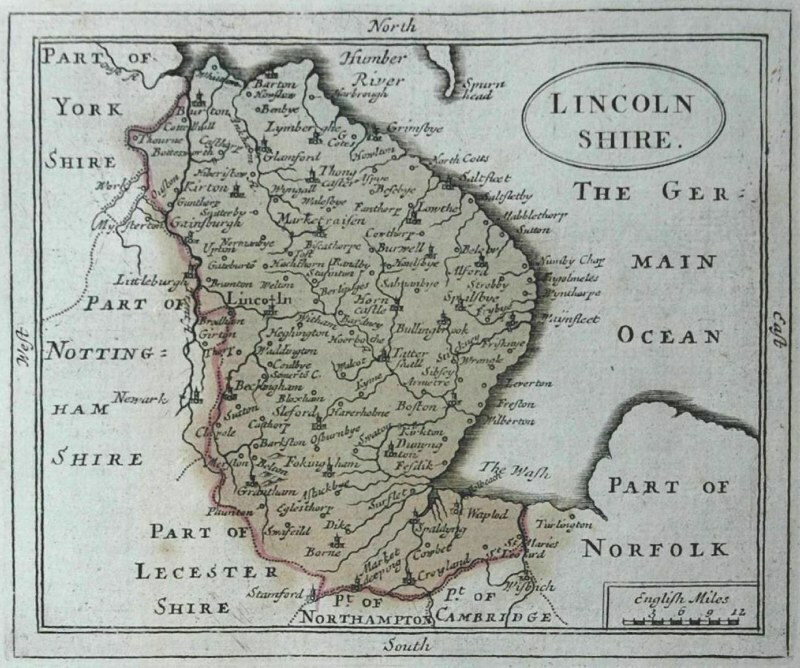 It is very interesting that the main road between Lincoln and Grimsby runs close to Old Clee, through the middle of Stainton le Vale and Tealby, and past Middle Rasen, all of which have `Drakes' links; this is not the present-day main route and is not an obvious route when looking at modern maps. This proves the need to view old maps when looking for migratory patterns and their possible causes. 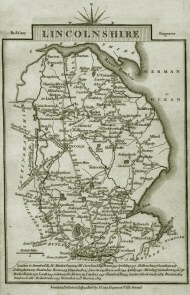 The main road from Lincoln to Barton runs close to several other 'Drakes' locations, including Barton & Glentworth; this route is similar to the present-day route; it is the approach to the Humber Bridge. However, much has changed since 1753. 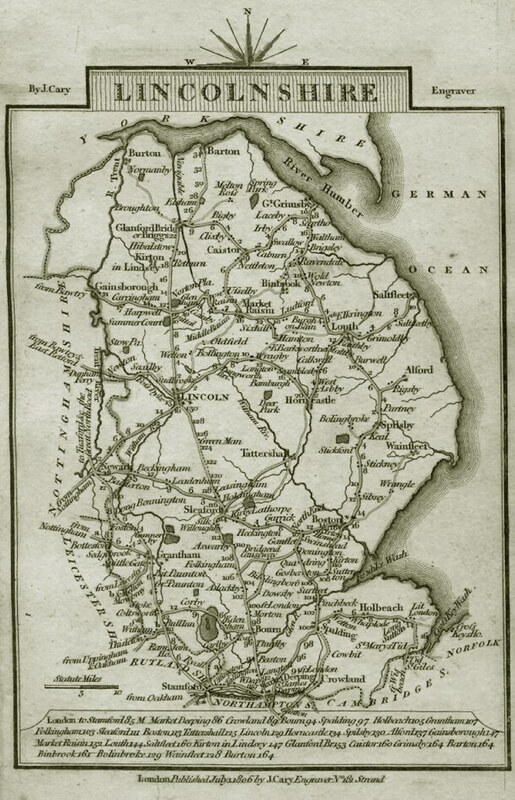 1767 Kitchin Road Map of the route from Nottingham to Lincoln to Grimsby; in Lincolnshire passing through or nearby Swinerton, North Hykeham, Boultham, Brace Bridge, Gaol Bridge, Lincoln, Netilham, Walton, Dunham, Riland, Snarford Hall, Snarford, Snarford Park, Lissington, Foldingworth, Middle Raising, Market Raising, Hamilton Hill, Tevelby Water Mill, Kirmond in the Mire, Stainton in ye Hole, Coxby, Ashby, Waltham, Starth to Grimsby and The Sea. 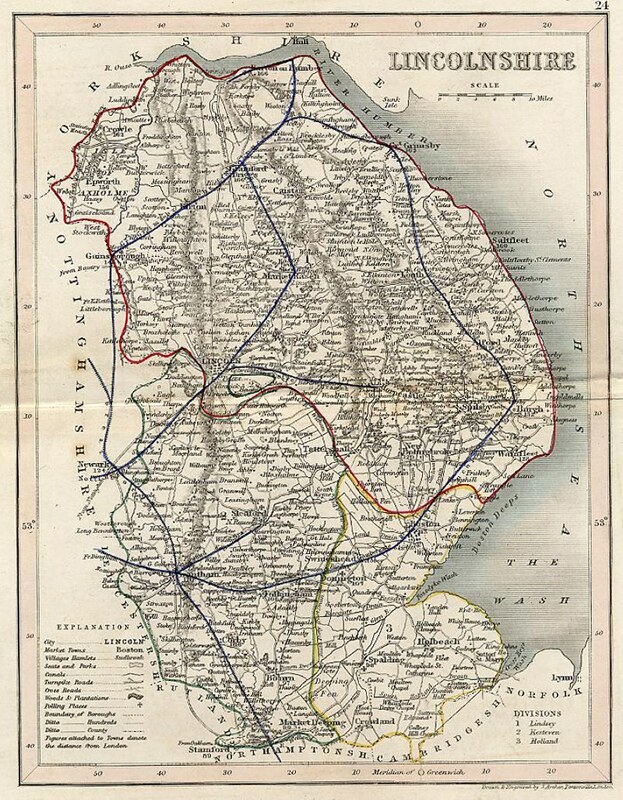 Local Ordnance Survey maps, which began in the 1840s, and some earlier maps from other sources, are available at most main libraries. Tithe maps are particularly useful as they show names of landholders. 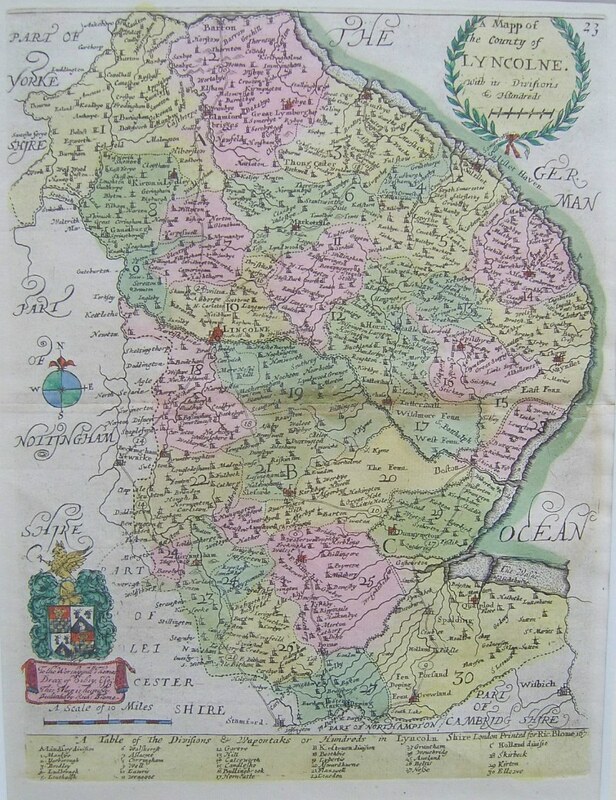 Copies of such maps are frequently available at the main library for the area being studied. 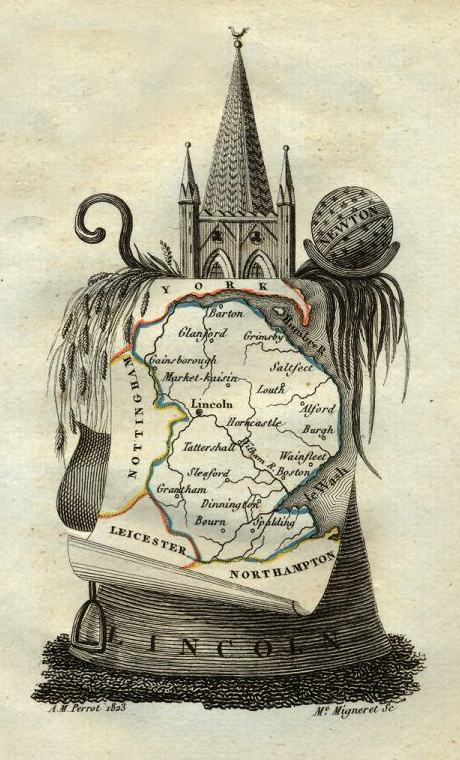 Rare & ancient maps, estate maps, Ordnance Survey maps and Tithe maps, plus many more covering the entire UK, can be found in the British Library Map Room, in London. Map 111: Sheffield & Doncaster, Cassini Map: 1840-1841 (Old Series) (this shows the exact location of Wood Hall, Darfield, which was owned in the 16th century by the Drax family; I had been having trouble identifying its exact location); Cassini Map: 1903 (Revised New Series); and modern Ordnance Survey (current version). 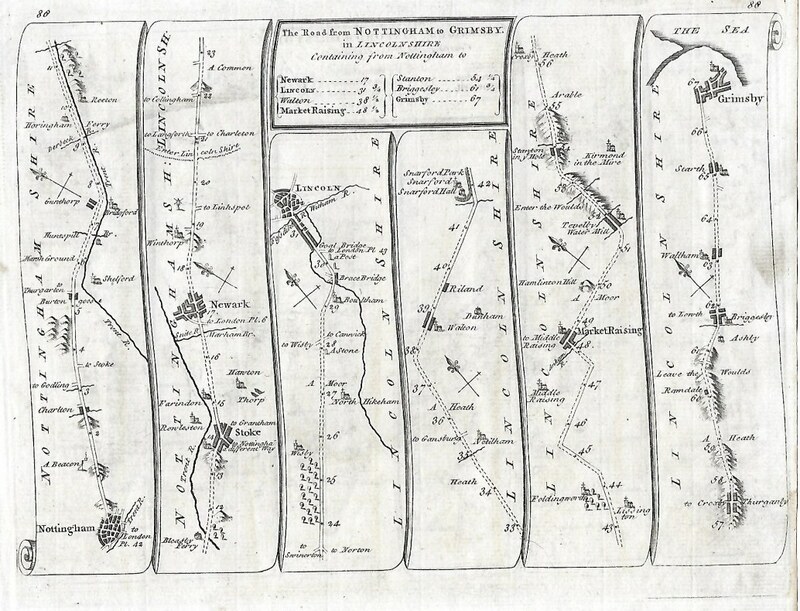 Map 112: Scunthorpe & Gainsborough, Cassini Map: 1824-1841 (Old Series) (This clearly shows the river Ancholme and the Ancholme canal, main transport routes near to The Wolds) plus it identifies the separate locations of 'Middle Rasen Drax' & 'Middle Rasen Tupholme'); Cassini Map: 1903 (Revised New Series); and modern Ordnance Survey (current version). Map 113: Sheffield & Doncaster, Cassini Map: 1824 (Old Series) (which shows, 'Stainton-le-Hole', later Stainton-le-Vale, and 'Stainton Vale House', later Stainton Hall); Cassini Map: 1903 (Revised New Series); and modern Ordnance Survey (current version). These maps show the rivers, early roads, canals, early railways, and clearly show the growth of towns, villages, road systems & railways. They can help explain contemporary transport routes, prior to the building of modern 'A' roads and motorways. The map stockist that I have been using, who has been exceptional in friendliness, packing and speed of delivery, is: This Way Books, PO Box 3224, Maidenhead, Berkshire, SL6 6WW; email: thiswaybooks@btinternet.com; websites: This Way Books & ebay shop. If you are having problems identifying a location in a Census Return or document, this list may be of some help in working out the placename. Brough (New Village) (Petvaria) Yorks. Gringley on the Hill, Notts. North Leverton with Habblesthorpe, Notts.